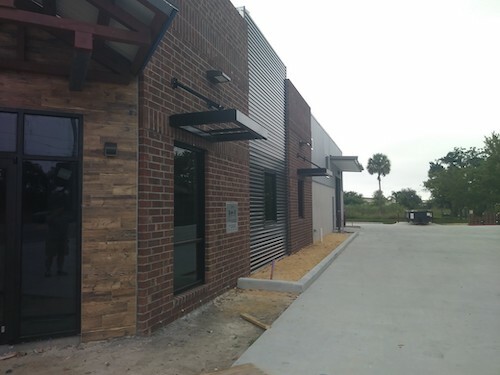 The new Mckee Construction office headquarters in Sanford FL is almost complete. The move to the new office is projected to be at or near the end of December. 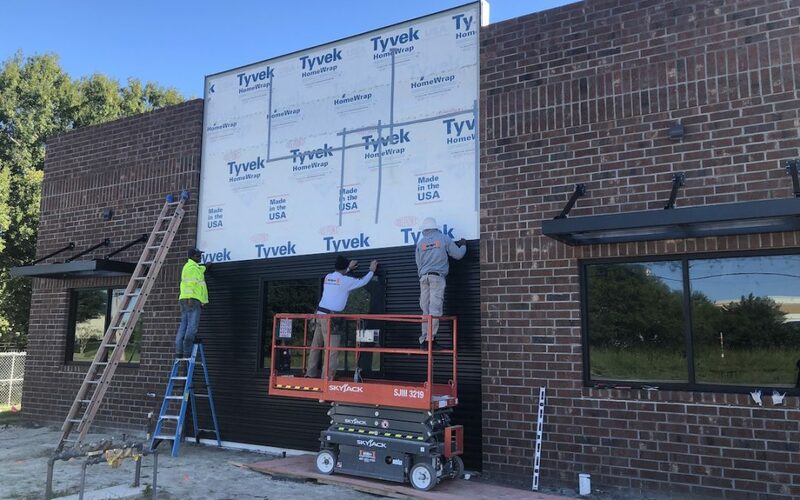 Design of our new office building was drawn by Joe Nicholas our senior estimator, in collaboration with President Bobby Von Herbulis and General Manager Maverick Von Herbulis. 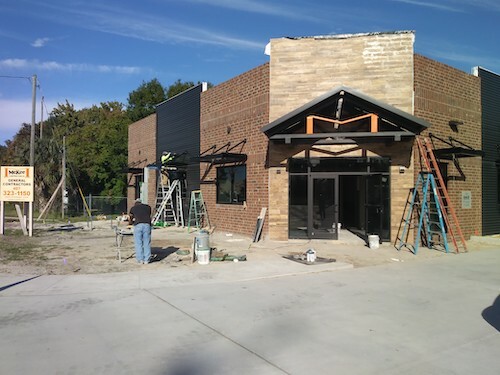 Many different textures are in use in the new office space none more visible than what is on the exterior including queens brick, horizontal metal panels and wood look ceramic tile.